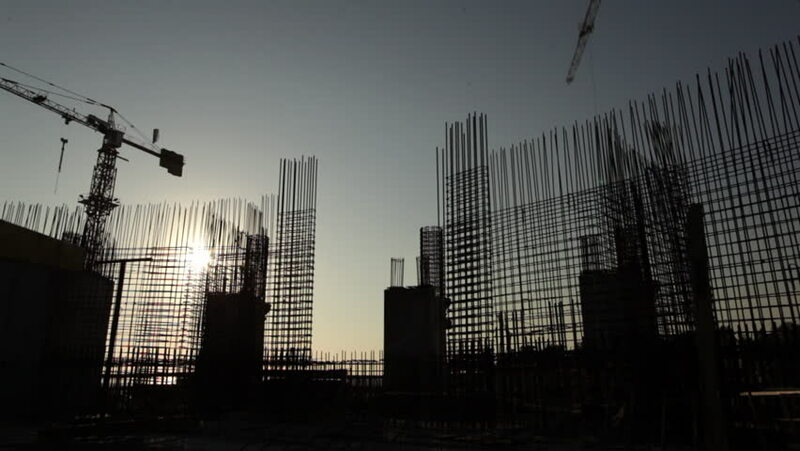 hd00:58Luanda, Angola - 2011 - Sunset shot on a construction site covered in rebar mesh with a moving high construction crane. Construction workers walk across the frame. hd00:57Luanda, Angola - 2011 - Sunset shot on a construction site covered in rebar mesh with a moving high construction crane. Construction workers walk across the frame.